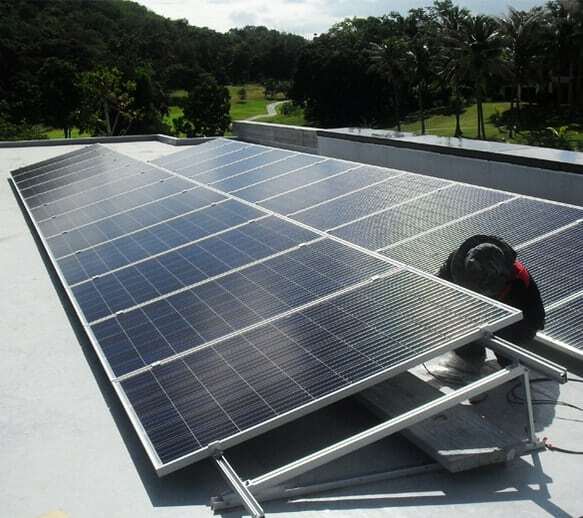 Considering installing a Solar Rooftop or Commercial Solar PV System? Choose Kunini as your Professional reliable partner. Kunini has been in business in Thailand since 2002 and has been installing Solar PV systems since 2011. 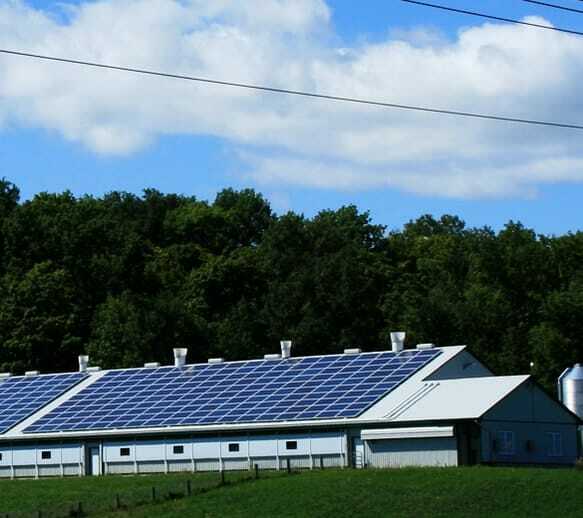 We offer three types of system; On-Grid (grid-tied, grid interactive), Solar Hybrid and Off-Grid systems. Grid-Tied systems are more in demand as they connect to the local grid and can offer some form of payback over-time. Currently, there are no incentives for FIT (feed-in tariff) schemes available so the system needs to be designed for self-consumption. 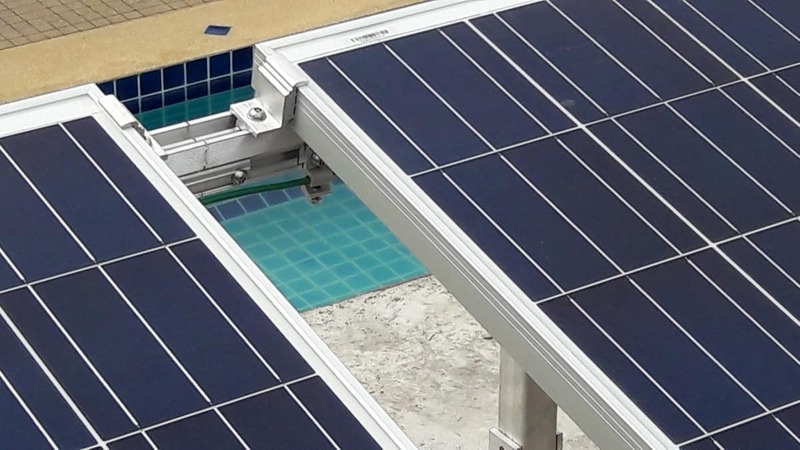 Solar Hybrid Systems are becoming more popular, these systems have a grid-connected Hybrid Inverter and a series of batteries. Careful consideration needs to be taken in regards to the loads that need backing up and other load types. Some are not suitable to run off batteries. Are you located in Pattaya, Bangkok or Hua Hin? Then Kunini can provide your home with professional Solar PV Systems. When you contact us we can provide you with a free solar survey or if you would like to come and visit us at our offices then we can also provide you with a free demonstration. We can also discuss with you your needs and inform you of the different types of systems that are available to you. We have offices in Pattaya and Hua Hin and you can find us via our Contact Us Page. 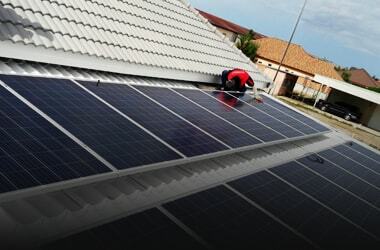 Having a Solar PV System if you are located in Pattaya, Bangkok or Hua Hin is a great opportunity to provide your home with energy saving capabilities, which will, in turn, save you money and reduce your dependence on the grid. Are you located in another city in Thailand? Are you interested in Solar PV Systems for your home? Then please contact us as we can provide our services all around Thailand too. Residential customers can install a small scale solar rooftop for their day-time power requirements. Commercial customers can benefit from installing a solar rooftop system, set up a mini power plant to generate your own energy for your day-time consumption needs. Contact Kunini for a Free Solar Survey or better yet, visit us at our office for a free demonstration and discussion of your needs and the different systems types available to you. After, a Consultant will visit your property to carry out a Solar Survey. The Solar Survey determines the viability of installing a Solar PV system on your roof; taking note of roof structure and roof type, roof orientation, possible shading and type of utility power installed. This is then followed up with a proposal for an ideal Solar PV system, along with an estimated ROI. Once a Solar Survey has been carried on your property Kunini will prepare a proposal for the ideal Solar PV System designed for you. The proposal will include a fully inclusive Solar PV quotation and estimated ROI (return on investment) calculation. We will then send you a presentation inclusive of all details about the Solar PV System, cost, equipment used and time frame to get you up and running quickly. Duration depends on project size. Once you have decided on the Solar PV system you prefer, Kunini will schedule a date for installation by our own installation team. Small roof-top systems generally take a couple of days to install, larger, complex systems can take considerable time to plan and install. 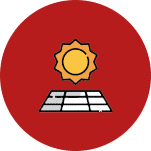 Kunini installs its Solar PV systems to the standards set out by the ERC, MEA and PEA and follows the regulations set out by the IEC ensuring that your system is installed correctly and complies to all codes and standards. Once the system is installed and commissioned you can sit back and monitor your systems data with our accessible online monitoring systems. Once an agreement has been reached Kunini will schedule the installation by our own installation team. The installation will be done to international standards. After installation, we will commission and test the system. Installing Solar PV (Photovoltaic) on your property in Thailand has many benefits, from saving energy, saving money and reducing your dependence on the grid. The main options are On-Grid (or Grid-Tied system), whereby you install Solar PV panels and a Grid-Tied inverter, this system is synchronized to the local grid, and power generated during the daytime will reduce your monthly electric bill. 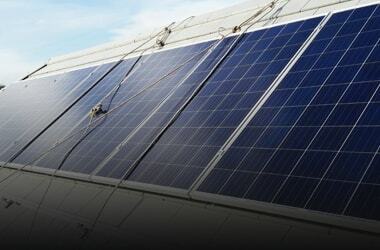 Local regulations allow the homeowner or business to install Solar PV on the roof however the system must be registered and must comply with local regulations. Typically, Peak Sun is for about 5 hours per day and the ROI (return on investment) is around 6 years (based on current pricing and tariffs). Off-Grid Systems are more complicated as Loads and usage need to be factored into the equation. An Off-Grid System comprises Solar Panels, an Off-Grid Inverter, Batteries and a Charge Controller. The size of the system will depend on the power demand and the number of days back up power is required. 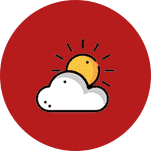 With an Off-Grid system, all the loads are run off the batteries and the sun is there to charge the batteries, a small generator may be required for cloudy days. If you are located around Thailand such as Pattaya, Bangkok or Hua Hin, then installing a Solar PV System will be very beneficial for you. power usage etc. and a full site survey will be carried out to ensure that the system is viable and will be installed to a professional standard. Contact us for a free consultation, and for a discussion about the different options that are available to you. We will help you make the correct choice for your individual requirements. 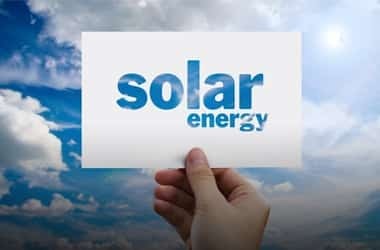 Installing a Solar PV System on your property is a great way to help save you money on your electricity costs, however there are ways to help you achieve more. You could change all your lighting to low energy LED’s and even replace your pumps and Air Conditioning Units (when the time comes), with newer inverter type systems that use DC motors, these systems use less energy and run quieter too..
To best way to help you achieve the best energy saving is to monitor your usage and production, by monitoring your energy usage you can see where excess energy is being wasted and take action to fix it. Kunini offers the Smappee Energy Monitor. Thanks to the Smappee energy monitors you always know how much energy you consume and produce, wherever you are. For more comfort, a better insight and sustainable energy savings up to 30%.